BEIJING -- The sales surge that has put Mercedes-Benz within reach of the top spot in the global luxury-car market this year may be too little, too late to deliver leadership in China, the world's biggest auto market. Despite a renewed push in China with cars like the GLA compact SUV, Mercedes is set to remain stuck behind rivals Audi and BMW until at least 2020, according to researcher IHS Automotive. While it has narrowed the gap since merging disjointed sales operations in 2012, Audi and BMW are re-stocking their lineups to keep Mercedes at bay. 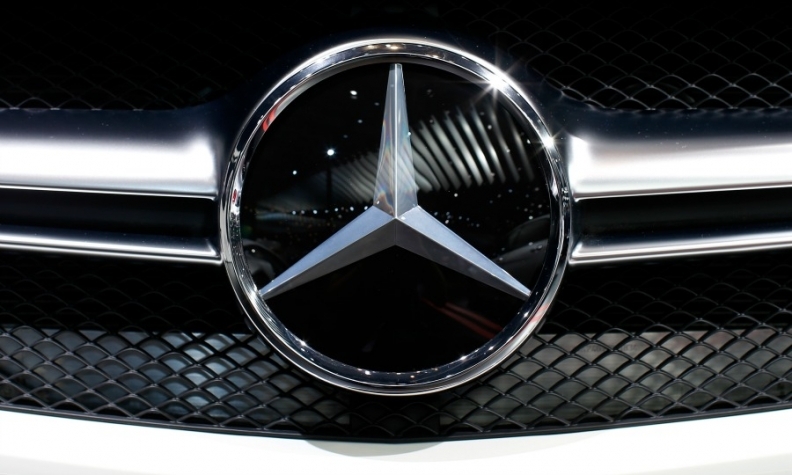 "At this point I don't see Mercedes overtaking BMW on a sustained basis," said Janet Lewis, a Hong Kong-based analyst with Macquarie Bank Ltd. "Mercedes is late to the game. It was late to appreciate the potential of the China market." The Daimler unit's woes date back to 2012, when competing sales operations for imported and locally made vehicles allowed Audi and BMW to surge ahead, honing their brand recognition and building dealership networks to sell to an expanding class of wealthier Chinese consumers. Mercedes's inability to close the gap in China means that the race for the global sales lead will likely remain tight. "We don't need to be No. 1 in China to become the global No. 1," Hubertus Troska, who's led Daimler's China operations since 2012, told reporters at the Beijing auto show. "China continues to be positive this year." After long trailing Audi's and BMW's growth in China, Mercedes sales jumped 33 percent last year to 373,459 vehicles, as the carmaker added the GLA and GLC SUVs. The boost from Asia helped Mercedes overtake Audi in global deliveries last year and prompted predictions the brand will unseat BMW from its global top spot for the first time in a decade in 2016. Both of Mercedes's rivals struggled with a slowing China market -- Audi's deliveries declined slightly by 1.4 percent, while BMW grew 1.7 percent. Mercedes's rivals aren't sitting still though. Audi, which produces five models in China including the A6 sedan and Q3 SUV, is due for a boost when it start sales of the A4 later this year. The Volkswagen Group unit delivered more than 570,000 cars in China last year making it the best-selling of the three automakers in the market. BMW, at No. 2, sold 432,850. BMW, meanwhile, is selling a new version of the top-of-the-line 7-series sedan and will soon refresh the mid-size 5-series sedan. The carmaker also will expand its set of locally produced cars, which are rendered more affordable by avoiding import levies, to six models from four in the next two years, sales chief Ian Robertson said in an interview at the show. The company showed a four-door compact sedan concept in Beijing that may soon make its way to Chinese showrooms. Mercedes's China production consists of the GLA and GLC SUVs and the C-class and E-class sedans. Even with its rivals responding, the automaker is optimistic it'll continue expanding in China, making it a key battleground in the luxury-car race. "China will remain our biggest global growth market during the next five years," Ola Kaellenius, Mercedes's sales chief, told reporters in Beijing. "We want to be No. 1 by 2020, but not at any price."